The Hilly Anklet sock as far as i’m aware is primarily aimed at runners, however as more people are trekking lightweight in the summer months and abroad this sock seamed like the ideal one to test out on such a trek in the Alps. Great design features and clever materials, but would they keep my feet in shape? This sock is of ‘double sock’ construction which is basically two layers, and this helps to absorb the friction which causes sore feet and blisters. 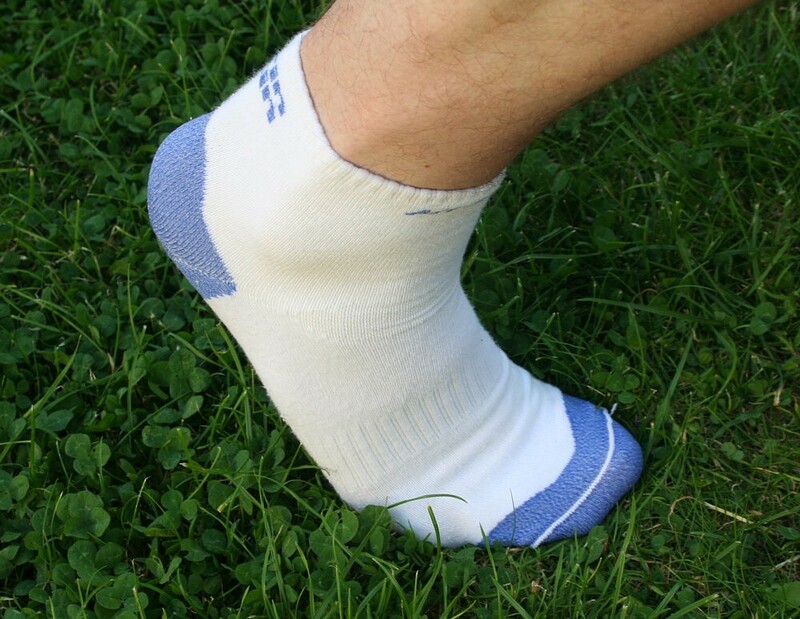 The sock has a “VentFlex” panel on the front of the ankle to improve ventilation and flexibility. The heel has a new “W” heel for better fit and a soft-touch reinforced area. The toe of this sock also has the same soft touch reinforced area with a small vent to help let moisture out, and the flat seamless toe construction is also on the outer layer of the sock, pointing away from the toes to avoid any rubbing. This sock also has an arch grip section for a better fit, which is further helped by the sock being pre-shrunk. These socks are made up from two layers. The inside layer which rests against your skin is made from Hilly’s own Meryl SkinlifE which they say has permanent anti-microbial qualities and wicks the moisture away to the outer sock layer. Putting this sock on, one thing is immediately apparent, and that is how cooling and smooth they feel. It’s nice to actually put a pair of socks on that feel like they are taking care your feet somehow. The outer layer is also made from SkinlifE , but also has Lycra in it for a better fit. I wore these socks on a very warm day in the Alps whilst climbing up to the bottom of a glacier. This meant a steep assent of a rocky, damp and hot Alpine forest for most of the way, so I went lightweight with a pair of Salomon trainers. Putting these Hilly socks felt strange at first as i am so used to single layered socks, but as i got moving I was pretty amazed to just how comfortable they were. The material is obviously something to do with it and two layers cut out most of the rubbing which can occur, but it was also the fit and cut of the sock. It seemed to mould around the foot and ankle and didn’t move about, especially the layer nearest my skin. I was building up quite a bit of preparation on the way up too as the air in the forest was still and humid, but my feet never really got that hot and I can’t remember having sweaty feet. I suppose the ultimate way of telling if a sock is comfortable is not noticing it on the day, just that’s it is there doing it’s job well! These socks have a RRP of £9.99 which I reckon is a reasonable price for a pair of socks which can deliver this sort of performance. This is a well designed sock that keeps your feet well ventilated with a good comfort level. I soon found myself forgetting I had these socks on, and i suppose that is what you want from a sock, forget about your feet and concentrate on what you are doing instead. A great sock for going lightweight in the hills as well as running, versatile, and one to have in your sock drawer. Although the way I use socks in the outdoors, I think I would opt for the black pair as i’m not sure how long they would stay white! !